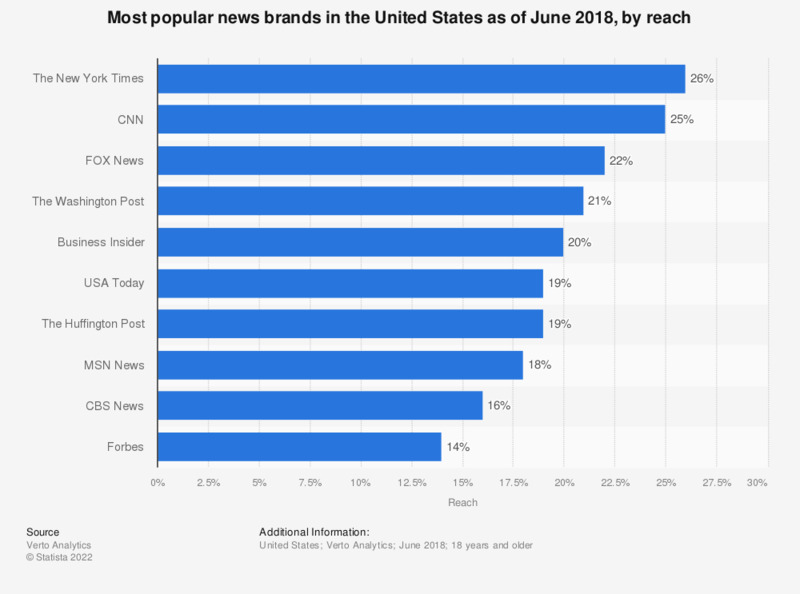 This statistic gives information on the most popular news brands in the United States as of June 2018, ranked by reach. According to the study, the brand with the highest reach was The New York Times, which reached 26 percent of consumers in June 2018. To what extent, if at all, do you trust news websites to tell the truth?